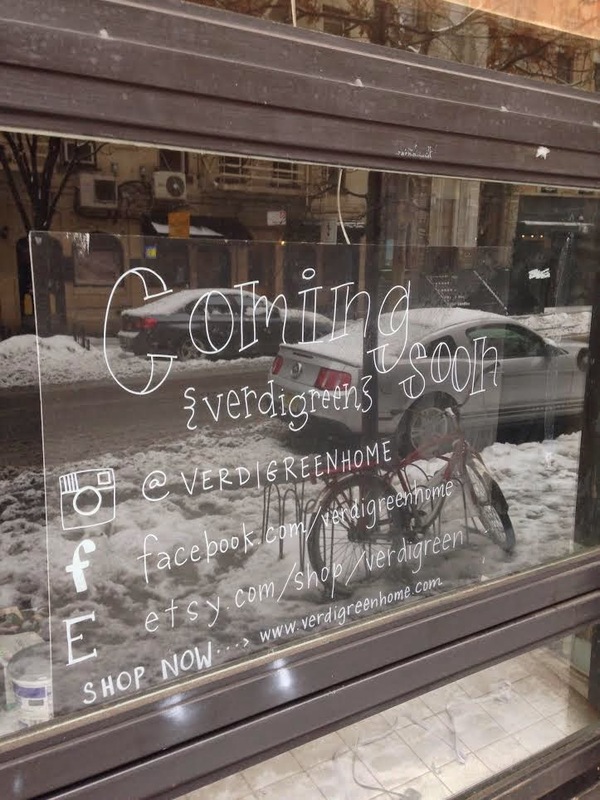 Coming soon signs are up at 122 E. 7th St. between Avenue A and First Avenue, where Verdigreen will be opening a new shop. The Montclair, N.J.-based store is described on their website as "a vintage redesigned furnishings boutique and handmade haven" with lightning, home goods and paint supplies, among other items, for sale. This space was previously home to La Belle Crepe. Now THAT is a welcome addition to the neighborhood. It sounds like it might actually have stuff that people who, y'know, LIVE here might be able to use. This is the exact kind of shop which is being forced out of the EV, how did they manage to find a retail space they could afford? This is my block and I'll take this over another bar or restaurant. Does this place double as a bar? Good luck if it doesn't.